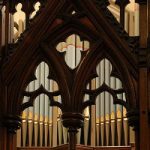 The purpose of the newsletter is simply to inform people of the range of musical activities that go on here at the Cathedral. It is aimed at members of the choir, members of the congregation and anyone else who might be interested in our activities: former choristers, former congregation members, friends, family, or indeed, visitors and newcomers to the Cathedral looking to learn a bit more about us. St Mary’s Cathedral Choir is made up of a group of about 25 -30 adults and currently, 18 trebles (boys and girls). They all rehearse every Thursday night, and the adults sing two services every Sunday. The trebles join them for one morning service and one evening service per month, plus some extra special services and events. The choir sings a huge and diverse repertoire from the most ancient to the most up-to date. 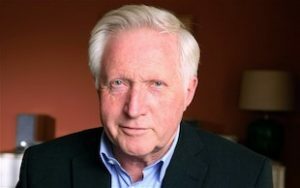 It also features regularly on BBC Radio and has appeared several times on TV. put on a Centenary Concert. They have also visited Mary King’s Close in Edinburgh, had an Easter Egg hunt, a Treasure Hunt, danced at a Ceilidh for Pentecost, and had a Chorister fun day with singing and drumming! It’s been busy but hugely enjoyable!! 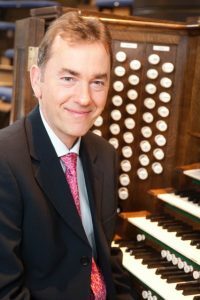 This year we have been joined by Peter Yardley-Jones as Assistant Organist. 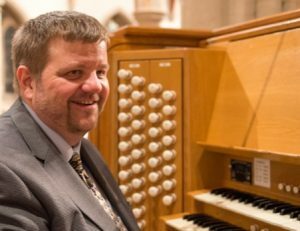 He is also Organist and Choirmaster at Houston and Killellan Church, where he plays in the mornings. 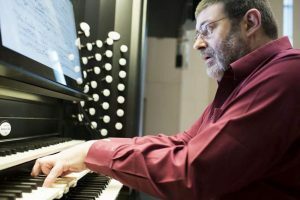 His role in the Cathedral is to accompany (and occasionally conduct) Choral Evensong on Sunday evenings, and to play for special mid-week services, as well as Weddings and Funerals and such. Matthew Todd also joined us this last session. Matthew is very fine tenor and is the first person to be appointed as Choir Training Scholar. Matthew has been learning to train the choir and to conduct them, and has been an invaluable help in the training of the trebles. He begins his studies at the RSAMD this next session, but will also be continuing to work here with us at St Mary’s. We have had no Organ Scholar this year, so Christine Walker, the wife of our Director of Music, has been conducting the choir on many occasions, particularly in the morning services, so that the Director of Music can play, but the choir is not left without a conductor. We are so lucky to have so many gifted and willing musicians in our church community. 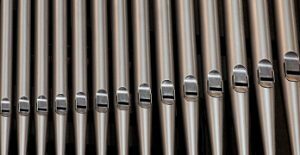 As well the regular players (to whom we are very grateful) who colour our worship with single instruments or small group combinations of instruments, on occasion, such as Easter Day, or for our concerts, we sing repertoire that requires a fully orchestral accompaniment. For such occasions we are joined by players that we put under the umbrella title of “St Mary’s Sinfonia”. Players come from the congregation, choir and from the city at large, often music students from the Universities and from the RSAMD, institutions with which we have strong links. Although, right from the outset, there has always been a womens’ choir here at St Mary’s, they were always kept apart from what was then known as the “real” choir, which was originally made up of men, with boys providing the top line. Then, in the 1970s the boys choir, for various reasons fizzled out, and women were introduced to the top two lines of the cathedral choir “proper”(!). This mixed adult choir then became the mainstay of the music in the cathedral, and, indeed it still is. However, in October 2007, after much thought and planning, children were re-introduced into the choir. The treble line was opened to boys and girls, a must in these days of equal opportunity, and a new chapter was begun. This was finally made possible due to the generosity of Peggy Brown, a member of the congregation who donated a sum of money to the choir in memory of her husband, David. 6 settings of the Mass (3 congregational, 2 orchestral, 1 jazz), 5 Evening services, 3 sets of Responses, and no less than 33 anthems! Plus countless hymns, songs, and psalms of course. They have learnt a great deal about the music they have sung, how to read it, where it comes from and how to express it. A chorister starts by wearing only their red cassock. They gain full chorister membership by receiving their surplice. Subsequent levels are recognised by the award of an RSCM medal on the appropriately coloured ribbon, and a lapel badge of the same colour. For these awards they are examined by the Director of Music, Frikki Walker, himself an accredited examiner for the RSCM. However, at various stages the choristers are then examined for national awards by an external RSCM examiner, and these awards are Bronze, Silver and Gold. Katie Athorne, Christabel Barrowman, Laura Cooper, Sophie Cooper, Hannah Dines, Rachel Dines, Amy Hendry, Leo Kumagai, Julia Murray, Davina Pittock, Jennifer Taylor, Magnus Walker, Erin Wallace, Jamie Wastling, Sarah Weir, Serena Whitmarsh, Barnaby Woods, and Isobel Woods. Katie Athorne, Christabel Barrowman, Laura Cooper, Hannah Dines, Jennifer Taylor, Sarah Weir, and Serena Whitmarsh. Katie Athorne, Christabel Barrowman, Laura Cooper, Hannah Dines, and Jennifer Taylor. MANY CONGRATULATIONS TO THEM ALL!! 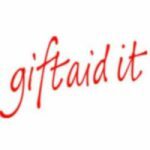 In fact, we should just mention that we also have two Gold Award holders in the Cathedral Choir, Pam Barrowman, who was the first chorister in Scotland to gain the award, and Margaret Walker, who was the first chorister in Scotland, under the age of 18, to gain the award. In this section, we will report in brief on news and achievements of choir members past and present. The congregation here at St Mary’s is quite a transient one, and this is reflected in the fast turnover of personnel in the membership of the choir. Rachel Dines, Amy Hendry, Chapney Holloway, Abigail Holloway, Gareth Macneachdainn, Paul Morrison, Julia Murray, Davina Pittock, Cailean Swainson, Alistair Thom and David Wishart. We wish them all well, thank them for their contribution to the music at St Mary’s, and hope to see them occasionally when they are able to pop in. Rebecca Benson, Sue Champion, Anya Fitzpatrick, Nathan Hawthorn, Olanna Horhut, Magnus MacHarg, Poppy Moore, Judith Ogugou, Jamie Wastling, Barnaby Woods, and Isobel Woods. Apologies if anyone has slipped through the net; as you can see it is quite a juggling act! Congratulations to current chorister (on leave) Rebecca Benson on the birth of her baby boy Gilbert. 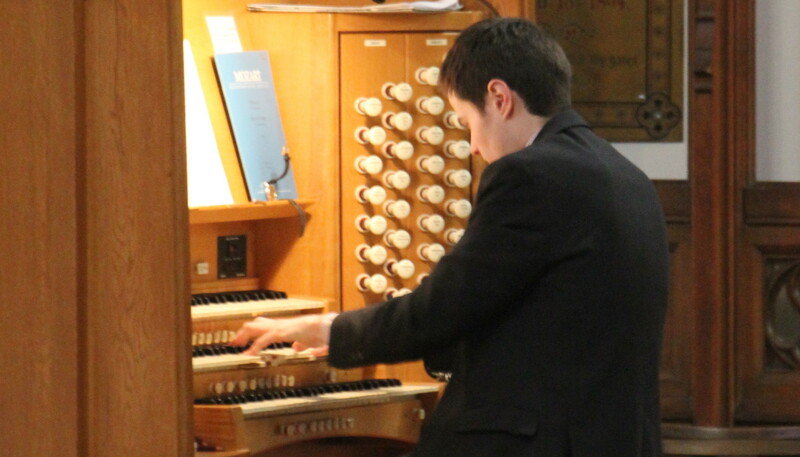 David Wishart has gained a place to read music at Manchester University. Matthew Todd, our choir-training scholar, and chorister, Cailean Swainson are both to study singing at the RSAMD. 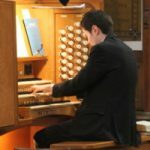 Former Organ Scholar Mark Brown, having successfully completed his degree course and Organ Scholarship at Downing College, Cambridge, has just finished another successful year at Canterbury Cathedral as Organ Scholar. 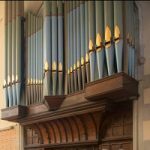 Another former Organ Scholar, Kirsty Traynor has successfully completed her first year reading Music at the University of Edinburgh. Former chorister Thomas Athorne is reading Maths at Cambridge, and singing with the choir of Sydney Sussex College, Cambridge, and will be touring California this summer. Former Chorister Chris Trundle has completed his course in Cambridge during which he sang with the choir of Jesus College, Cambridge. He is now at Mirfield College training for the priesthood. Former chorister Margaret Walker, now choral scholar at Trinity College Cambridge, can be heard live on BBC Radio 3 with that choir on Wednesday 1st July, at 4pm. She will also be performing with them at the Cheltenham Festival this summer, and at a Prom in London’s Royal Albert Hall on 22nd July. They are also recording a CD in Gloucester Cathedral, and touring in the USA. In between all this, Margaret will spending some time in Florence brushing up on her Italian (she is reading languages)! 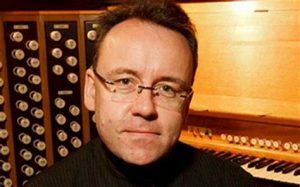 Peter Yardley-Jones, our Assistant Organist has recently conducted the British Premier of the Passion by Swedish composer, Fredrik Sixten. 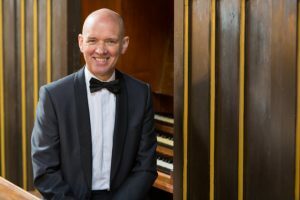 Peter has also been invited to give organ recitals in two very prestigious venues, St Thomas’ Church, Fifth Avenue, New York, and in St Paul’s Cathedral in London. Frikki Walker, our Director of Music has been appointed conductor of the RSAMD Chamber Choir. Amongst the various other choirs he cionducts, Frikki already conducts the Chamber Choir of the Junior Academy of the RSAMD. Please let us know if you have news of musicians with connections here at St Mary’s. Over the last year and a half, the choir has steadily been re-robed in new cassocks and surplices. We have now successfully robed the trebles and re-robed the women, but now need to buy new cassocks for the men. This we hope to do during the summer and subsequent months. Put on a concert of music, similar in format to the Centenary Concert last year, sometime in the Autumn; look out for the date. Sing Faure’s Requiem for All Souls, on Monday 2nd November at 7.30pm. Record a CD and continue our broadcasting. Sing at our usual Advent and Christmas Carol Services. Repeat our Tour (of 1990) of all the Scottish Episcopal Cathedrals in 24 hours! The weekend of 3rd July 2010 is earmarked for that, and some interesting modes of transport may be involved! And possibly arrange to sing a week or weekend’s residency in an English Cathedral. Our Director of Music is always on the look-out for singers of ALL ages to join the choir. Boys and girls need to have a basic level of literacy and a voice. Adults need to have a voice, preferably some choral experience, and sense of humour. In all choristers, Frikki is looking for potential and willingness to learn. If anybody is interested in joining the choir, or knows of anyone who might be interested, in joining or offering their instrumental skills, please talk to Frikki after a service, or phone or email him (details below). Besides that which we do ourselves, the Cathedral is also a popular venue for concerts and other artistic endeavours, but there is not room to expound on all those events here. 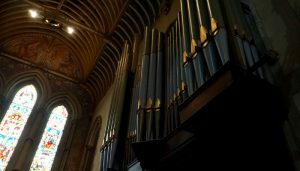 Our Director of Music has begun to write a history of the music here at St Mary’s, and would be very pleased to hear from anyone who can relate anything about it. 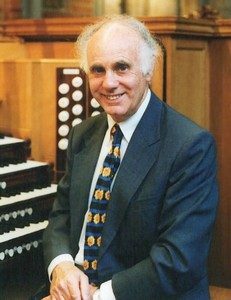 Memories, anecdotes, programmes, photographs, service sheets, or anything to do with any aspect of the organ, choirs, services, concerts etc., would be most welcome. Thank you. 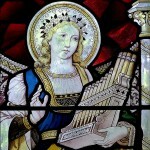 I hope this wee newsletter has just offered you a glimpse of what “Music at St Mary’s” means. I would just like to thank everyone who has contributed their time and talent to enrich our worship over this last season or so, and to thank our ever-appreciative and supportive clergy team and congregation. On Sunday 7th September, 2008, we said goodbye to Kirsty Traynor, our organ scholar 2007-8 as she leaves to read music at Edinburgh University. Thank you and Good Luck! 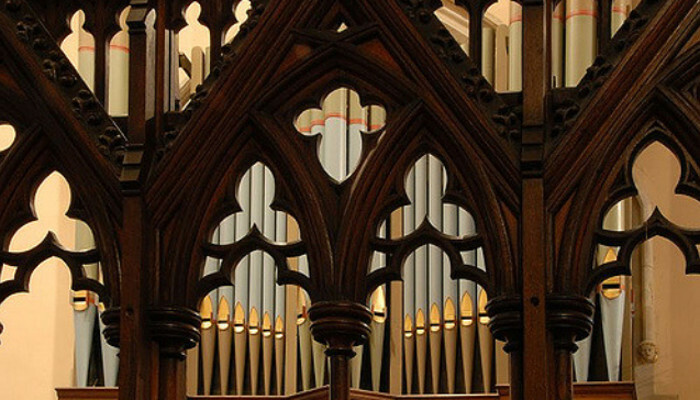 This leaves a vacancy for the position of Organ Scholar at S Mary’s. Enquiries to the Director of Music, Frikki Walker. Members of the choir and friends made a full contribution to the 100th Anniversary of St Mary’s being the Cathedral Church of the Diocese of Glasgow and Galloway. On Saturday 6 September 2008 they sang at a celebration concert which included Vivaldi’s Gloria.